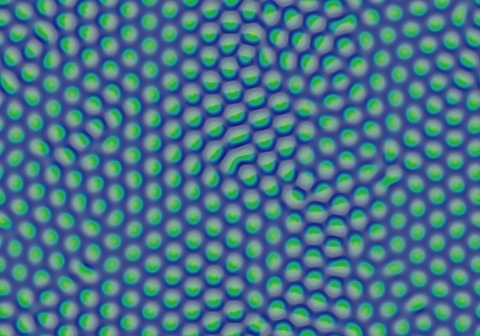 These images and movie demonstrate the behavior of the Gray-Scott reaction-diffusion system with σ=Du/Dv=2 and parameters F=0.0300, k=0.0550. 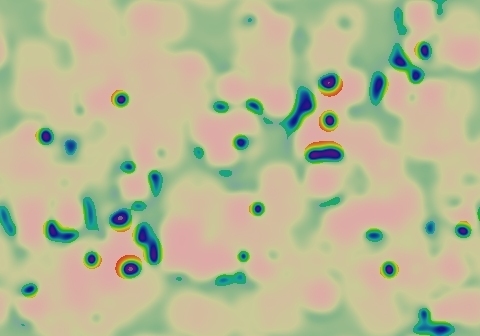 Field organizes into hexagonal arrays of negative solitons after about 5000 tu. Grain boundaries continue to shift for about 150,000 tu.